Do you know Rafa-kids K desk already? We designed it for our six years old son, thinking it would be perfect furniture for him when he started learning to read and write. We discovered later that the K desk often happens to be ordered by parents for themselves rather than for their kids. This is such a great compliment for us! 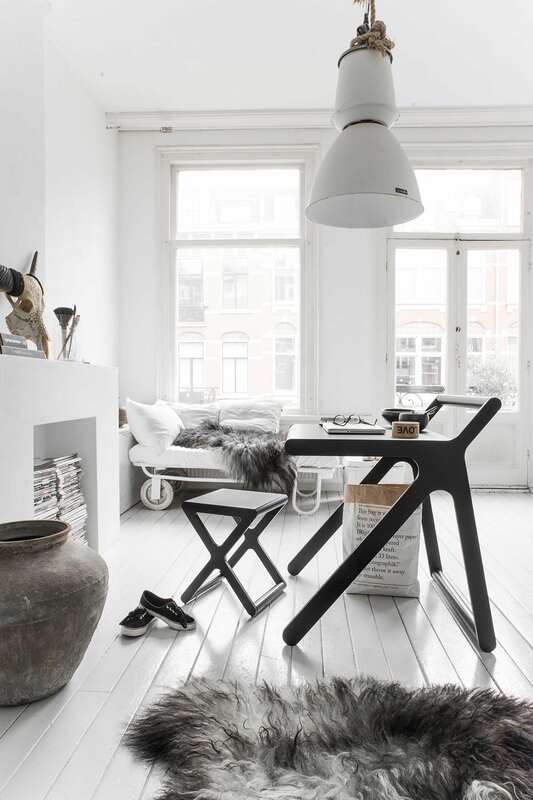 That means that the modern aesthetic of K desk appeals to the older public more than we thought in the begging. Nothing wrong about that, and since the desk has a full adult size it actually makes a lot of sense! 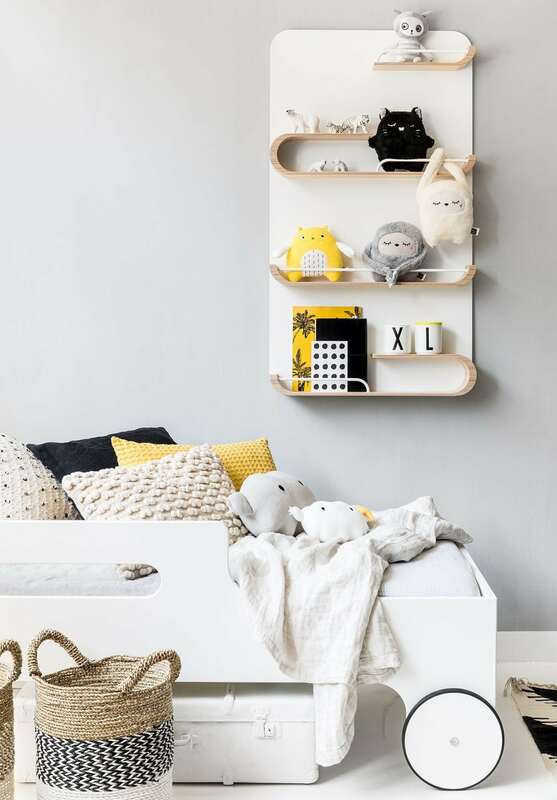 We feel that a teenager room is actually a perfect spot for this piece of furniture. 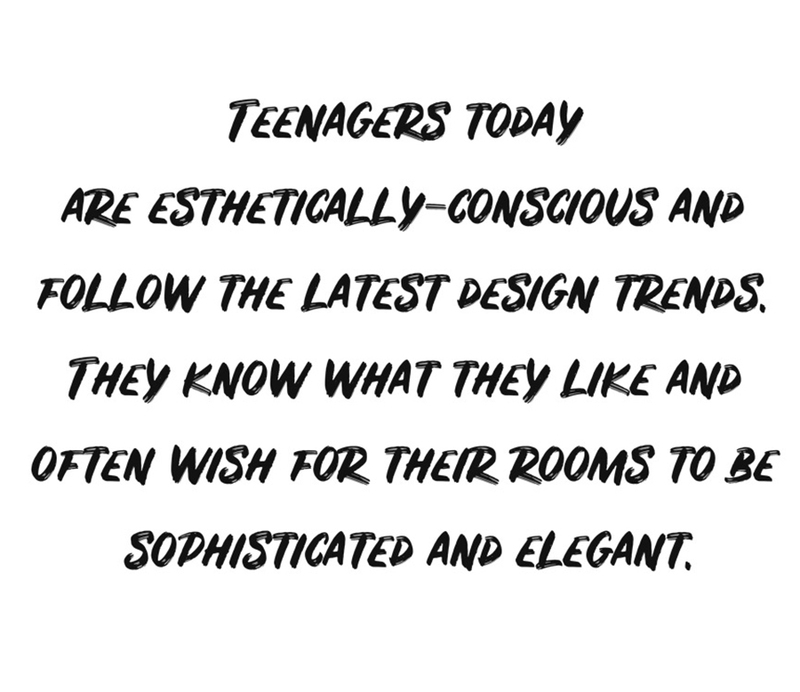 Teenagers today are esthetically-conscious and follow the latest design trends. They know what they like and often wish for their rooms to be sophisticated and elegant. A young teen starting high school keeps a few favorites toys but the childish rooms of their early years have to change. 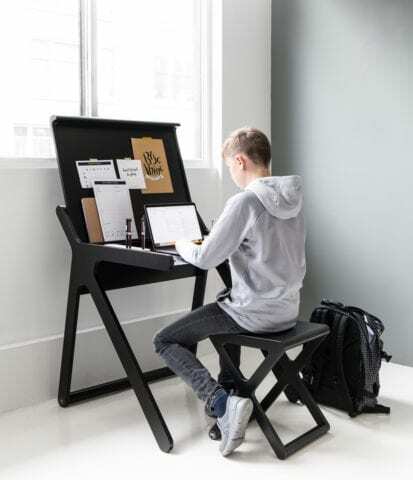 If you are looking for a cool and strong statement in your teen department – then K desk in Black will do the job just perfectly. 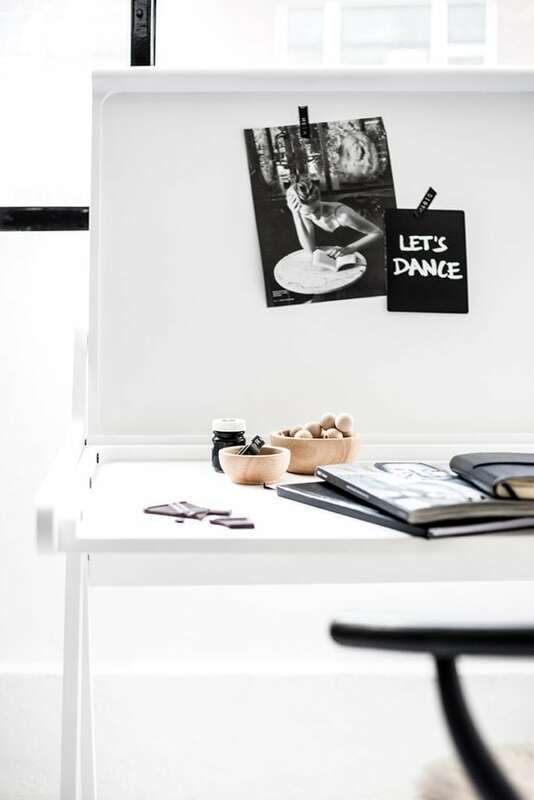 The K desk in White fits more Scandinavian Style interior space. 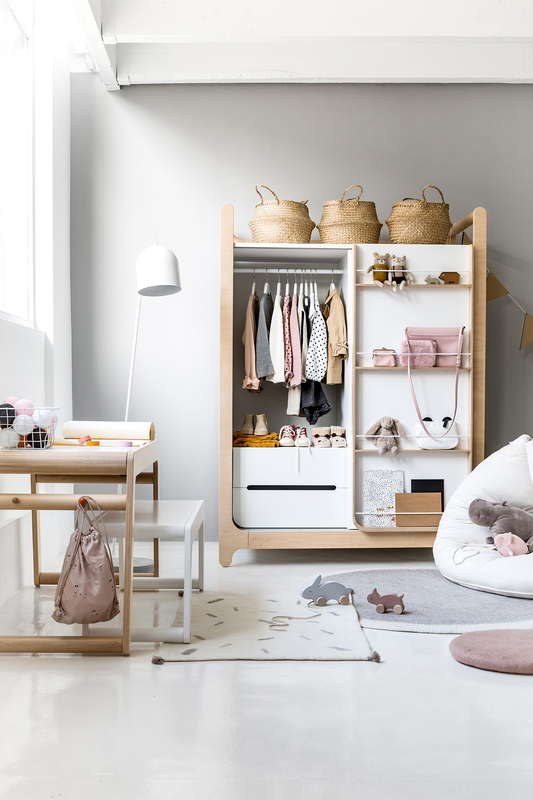 We created this entire room with K desk and A teen bed and XL shelf – all in White! It’s a timeless set which will help you to build an excellent furniture base that you will enjoy for years! 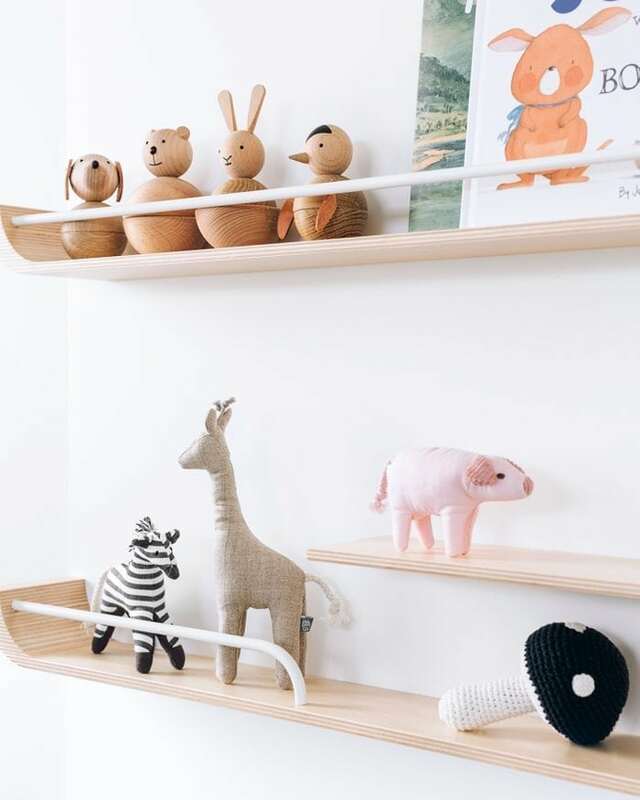 Ask your teen to add bold, imaginative elements to such a modern minimal space. Think posters, letters, large photographs. I’m sure this will excite your teen like nothing else! Here is our son Frank, who is 12 years old. I noticed that he loves spending time in his room feeling there cozy and comfortable. If only he made there less mess! He prefers black and grey colors if we talk about furniture choices for his room. I don’t even try to argue, as I believe myself that this is a great choice. 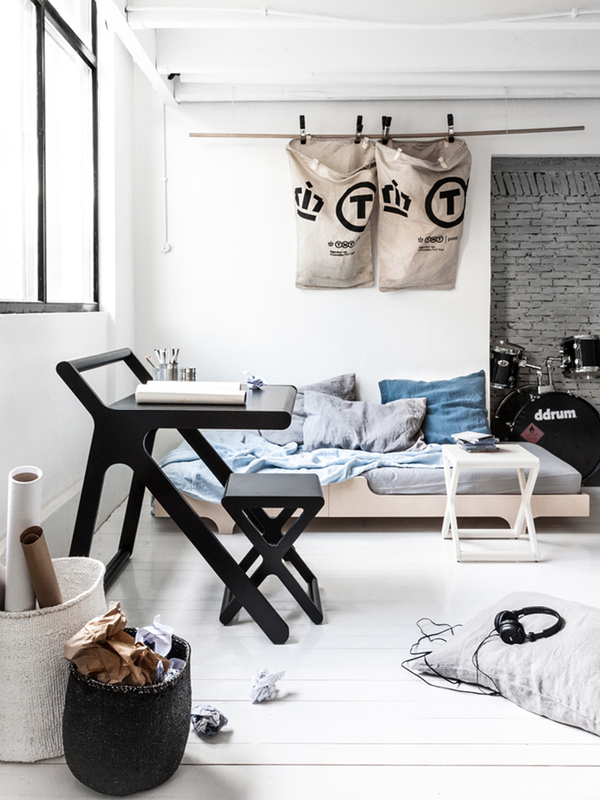 In this last photo shoot, we have set the teenager’s favorites: Black K desk, timeless X stools, and the minimal A75 teen bed. Adding soft textures, and plenty of pillows will cozy the minimal furniture up. If you place the bed lengthwise against a wall, it’s easy to create a daybed to chill and hang out with friends. Teener’s little paradise.